On this page you'll find a selection of items belonging to the group of sausages and luncheon meats. Through the links on this list of foods that are sausages and luncheon meats and you will know their properties and amount of nutrients that each food has. 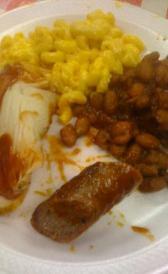 Below is a list of foods belonging to the category of sausages and luncheon meats. Clicking on each one of them, you can view the properties of oils and nutritional information in addition to the benefits to your body. 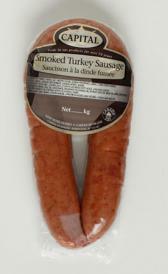 Smoked hot turkey sausage: Smoked hot turkey sausage is high iron and sodium. On the other hand. is low in carbohydrate, total dietary fiber and calcium. Pork and beef beerwurst: This food has a low quantiti of carbohydrate, total dietary fiber and total sugars but has a high quantity of total lipid, sodium and saturated fatty acid. Cooked smoked honey ham: This food is low in total dietary fiber, total sugars and calcium but Cooked smoked honey ham has phosphorus, sodium and thiamin in high quantity. Pork frankfurter: This food has a low quantiti of carbohydrate, total dietary fiber and total sugars but has a high quantity of total lipid, calcium and sodium. Truffle flavor pate: This food is low in total dietary fiber, total sugars and manganese but Truffle flavor pate has total lipid, sodium and zinc in high quantity. Heated beef frankfurter: Heated beef frankfurter is high total lipid, sodium and saturated fatty acid. On the other hand. is low in carbohydrate, total dietary fiber and total sugars. Heated meat frankfurter: Heated meat frankfurter is high total lipid, sodium and monounsaturated fatty acids. On the other hand. is low in carbohydrate, total dietary fiber and total sugars. Meat frankfurter: This food is low in carbohydrate, total dietary fiber and total sugars but Meat frankfurter has total lipid, sodium and saturated fatty acid in high quantity. Pork scrapple: This food has a low quantiti of total dietary fiber, total sugars and calcium but has a high quantity of vitamin a.
Pre-cooked pork sausage: Pre-cooked pork sausage is high total lipid, sodium and saturated fatty acid. On the other hand. is low in carbohydrate, total dietary fiber and total sugars. Pre-cooked beef sausage: This food is low in carbohydrate, total dietary fiber and total sugars but Pre-cooked beef sausage has total lipid, sodium and zinc in high quantity. Raw fresh turkey sausage: This food has a low quantiti of carbohydrate, total dietary fiber and total sugars but has a high quantity of zinc. Cooked fresh beef sausage: High in total lipid, zinc and saturated fatty acid and low in carbohydrate, total dietary fiber and total sugars. Beef pork chicken bologna: This food has a low quantiti of total dietary fiber, total sugars and manganese but has a high quantity of total lipid, sodium and monounsaturated fatty acids. Pork chicken bologna: High in total lipid, ash and sodium and low in carbohydrate, total dietary fiber and total sugars. Dried cured beef: This food is low in total lipid, carbohydrate and total dietary fiber but Dried cured beef has protein, ash and sodium in high quantity. Cured beef pastrami: This food has a low quantiti of carbohydrate, total dietary fiber and total sugars but has a high quantity of protein, sodium and zinc. Low fat beef bologna: Low fat beef bologna is high sodium. On the other hand. is low in carbohydrate, total dietary fiber and total sugars. Low fat beef frankfurter: This food has a low quantiti of carbohydrate, total dietary fiber and total sugars but has a high quantity of sodium, saturated fatty acid and monounsaturated fatty acids. Low sodium frankfurter: This food has a low quantiti of carbohydrate, total dietary fiber and total sugars but has a high quantity of total lipid, saturated fatty acid and monounsaturated fatty acids.